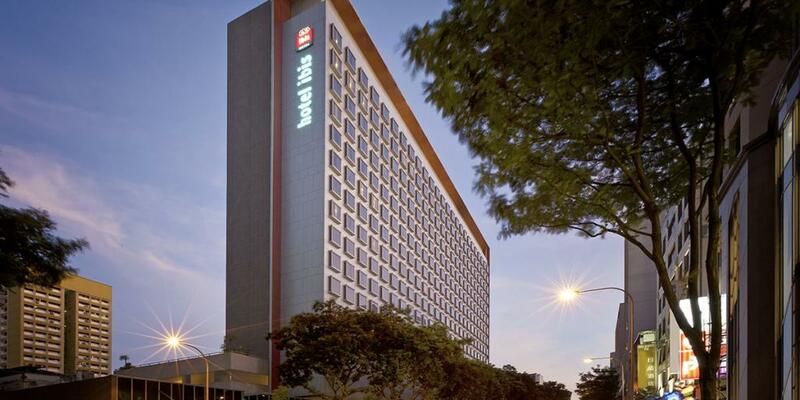 Ibis Singapore on Bencoolen is the first internationally-branded economy hotel in Singapore and one of the largest Ibis hotels in Asia Pacific. It is centrally located in the heart of Singapore’s business, cultural and shopping districts, five minutes away from Singapore’s CBD and 20 minutes from Changi International Airport. The hotel boasts 538 rooms with timber floors, large bay windows, high ceilings and complimentary Wi-Fi Internet access. The hotel’s restaurant all-day dining menu offers popular local and Asian dishes. The recently added meeting rooms are designed to provide flexible configuration and natural lighting perfect for seminars, workshops and events. Major malls and several MRT rail stations are within walking distance, while major retail and convention areas such as Marina Bay Sands, Suntec Convention Centre and the Orchard Road shopping district are within three kilometres of the hotel. Located within the Cultural Civic District, the hotel is walking distance to various tourist attractions such as the Singapore Art Museum, the Bugis Street market, the Kwan Im Thong Hood Cho Temple and the Sri Krishnan Hindu Temple as well as in proximity to other destinations including Little India, Sim Lim Square, Arab Street and the Singapore Flyer. The hotel is also close to the Raffles Hospital. Commencing operations in February 2009, Ibis on Bencoolen has enjoyed impressive occupancy, a testament to its excellent location, positioning and efficient operations. Ibis on Bencoolen’s wide appeal, catering to the business and leisure tourists seeking comfortable accommodation on a budget, will continue to see the hotel thrive into the future. This entry was posted in Singapore. Bookmark the permalink. M&L Hospitality is an international real estate investment platform with offices in Singapore, Sydney and Amsterdam. As a specialist hotel investor, we own some of the most successful and promising hotels across Asia-Pacific and Europe. © 2017 M&L Hospitality. All rights reserved.